The hidden dog fence keeps your dog where you want by transmitting a coded FM radio signal through a boundary wire buried around your yard. This harmless signal is picked up by a lightweight waterproof Dog Watch collar receiver worn by your dog. Depending on the size of your property and the needs of your dog, signal range may vary from the hidden dog fence boundary wire. As your DogWatch® dealer, we can provide the electric fence installation and will adjust the range that is most suitable for your dog and yard. When your dog gets close to the boundary wire, an audible warning reminds your dog not to cross. If the warning is ignored – rare after training – the collar emits a mild stimulation. Safe Link is our patented FM digital technology that provides your pet with maximum protection from unintentional stimulation caused by stray radio signals. DogWatch® is the only system that offers an FM radio transmission, making it the most secure hidden fence system available. With a DogWatch Hidden Fence System you’ll change the battery less frequently than with other brands. That means consistent containment for your dog and no “hidden” battery costs. Contact DogWatch of Western MA, Inc dealer for battery replacement. 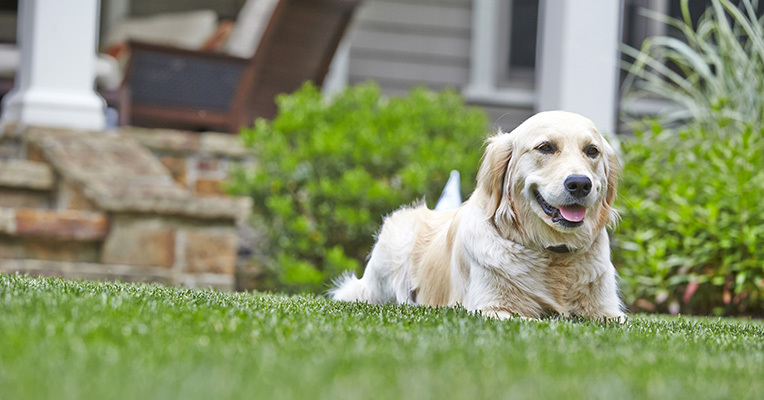 This feature, exclusively found in DogWatch® hidden dog fence systems, constantly monitors and adjusts the training level on your pet’s receiver, assuring he stays in the yard. Our hidden dog fence receivers offer the fastest reaction time in the pet containment system industry: less than an eighth of a second! If your dog challenges the boundary of the underground dog fence, the receiver reacts before he reaches the wire, not while traveling over it. Only DogWatch® offers a status light to monitor your pet’s receiver collar. It not only confirms that your pet containment system is functioning properly but lets you know the training level the receiver is set to, when the receiver battery is low, and if your pet has recently challenged the boundary of the underground dog fence. 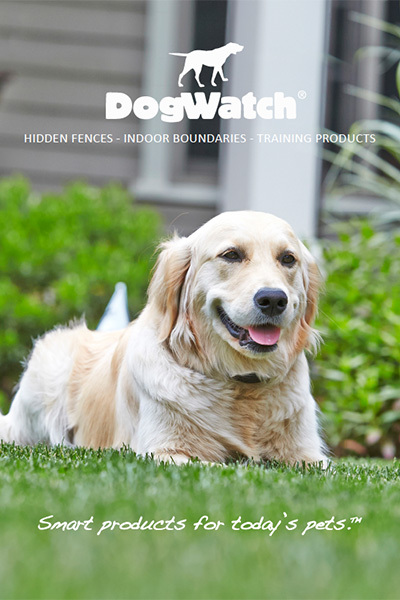 The DogWatch® hidden dog fence offers a comprehensive range of 20 distinct training levels to accommodate all dog breeds and personalities. All DogWatch systems include a warning signal to alert your dog that he is approaching the boundary. We offer either an audible or vibration alert (great for hearing impaired pets) teaching him to stay at the warning signal, before he reaches the hidden wire. And you can adjust the training levels yourself, no need for the expense of a service call.